This is Jabak’s main field of work. A strategic and well-designed web page is a powerful tool that can help you achieve your goals.The web pages Jabak creates are low-cost and easy to use, they can be easily maintained by the client, and we make it a point not to complicate things. 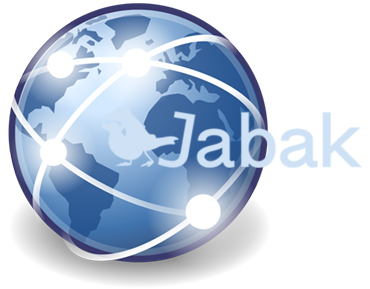 Jabak will assess your needs and offer the plan most suited to you.A feature of Jabak is its strong international influence, which brings an original feel to our web pages. On occasion this may be feel slightly excessive, and at Jabak we feel it’s important to put aside our own influences in order to create a web page that best assists our clients in attaining their goals. Our goal is helping you achieve your goal. It’s as simple as that. Here are the components Jabak focuses on when designing a web page. Although low-cost options are readily available, with our original templates and skillfully designed embedded programs, Jabak offers dynamic and highly productive web pages. When determining what features to include in clients’ web pages in order to keep within budget, a lot of different ideas are discussed between Jabak staff and clients. After exchanging ideas and opinions - some of which are concepts that you wouldn’t normally come up with - we decide which ones we will use in the web page. Making the decision to create or update a web page can be like taking a step into an unknown darkness, but we also consider the risks. While there are some industries that see fast results from having a web page, other industries don’t benefit as much. That being said, Jabak considers each and every net surfer as a valued internet user, and we endeavor to create web pages to suit any client’s needs and budget. Prices vary based on the amount of content, functions required, and the design. As an example, our most basic page option starts from 400,000 JPY, with the monthly maintenance fee beginning at 5,000 JPY. Higher grade pages offer various additional functions and original programs, but the features below are included in all of our web page packages, even the lowest grade options. How do the features above sound! If you intend to use Jabak’s services for any of your other needs such as translation or DTP, we will offer a special rate of the total package and of course ensure that the content is synced and consistent.